Blizzard revealed a new legendary Ana skin Monday for the upcoming Overwatch Summer Games event called Cabana Ana. 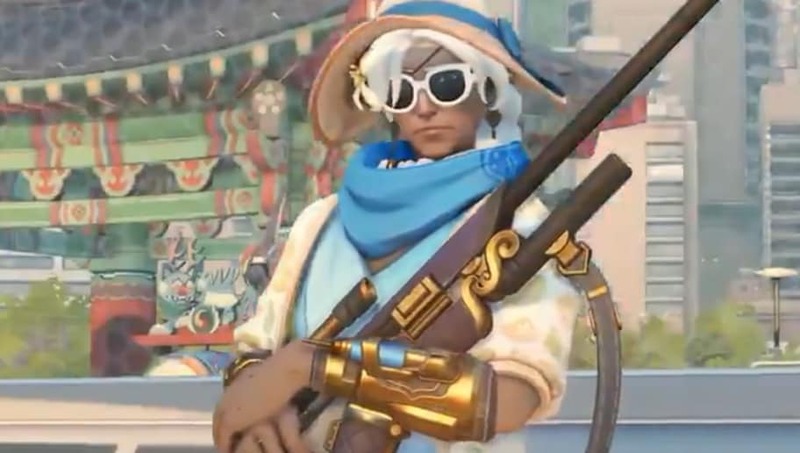 ​​The Cabana Ana skin features Ana in clothes more appropriate for summer time, following the summer theme of all Summer Games skins in Overwatch. She has a large hat and a flower in her hair. Her outfit is also more relaxed than the heavy clothes seen in her classic skin. Cabana Ana is the fourth Summer Games skin revealed for the upcoming event. Blizzard unveiled ​Waveracer D.Va, followed by ​Gridironhardt Reinhardt and ​Catcher Winston. The Summer Games is an annual summer event in Overwatch. It is highlighted by the Lúcioball event, which allows players to play as teams of three Lúcios in a game mode similar to soccer. The event will officially return on Aug. 9 and run until Aug. 30. Players can travel to Busan for Lúcioball in this year's iteration of the Summer Games event.